Custom sensors help to create unique products and extreme performance for an outstanding market position – and are faster available than thought. Image sensors are available on the market in a very broad variety in type, size and performance for nearly all levels of applications and needs. From consumer sensors to industrial detectors and imagers dedicated to specific tasks, there is a huge number of devices available off-the-shelf. But there are six good reasons to have a deeper look, if a customized sensor helps to solve your imaging challenge and to achieve your vision objectives the best possible way. With a fast time to market, too. Nobody wants to buy an Apple iPhone when it comes with the same sensor as a Samsung or an LG device and vice versa. To be unique, to create a differentiation and added value from the competitors, consumer manufacturer and industrial product manufacturers must employ an own customized sensor for their products. Whether it’s a special feature set or an exceptional performance in picture quality, resolution or speed, a good reason why companies go for a custom-developed sensor is the unique performance that promises market advantages generating extra revenue on the final product. Another important reason for customization, is to create a premium product within a family of imaging devices. Even without large volumes, custom sensors create high business value and a unique class of product in the portfolio. A custom-developed premium product with unique features enables companies to act as a market trendsetter and to take strong leadership in their market. In nowadays systems, the sensor plays the most essential role for the performance of any camera and imaging system. For instance, in the machine vision market, most of the camera datasheets seems simply created by using the sensor datasheets enriched with interface specifications and that’s it. Most of the camera builders produce great camera models by basically taking any sensor on the market and make a camera around. There is of course more to a camera than just the sensor part but same sensors make similar cameras with more or less equal imaging performances besides the software added value and varying housing types, lens mounts and qualifications. As differentiation in features is often difficult to justify, the competition between vendors turns to setting the lowest possible price point, this approach leads to a price drop, as the price is the only specific reason to buy. With the Price drop, as well the specific value drops for everyone. Some companies will play that game for sure. Others want and need to regain margins, that is the group doing custom sensors. 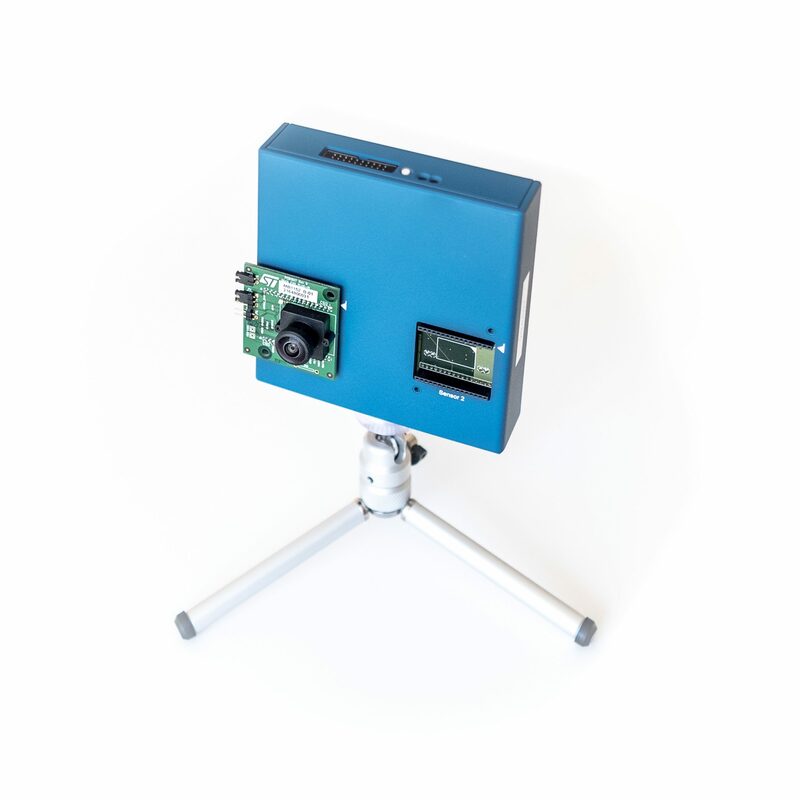 With a customized sensor design they are able to create unique imaging system with unique performance and additional value to justify premium prices resulting in higher margins. A very individual reason for custom sensors is that very special company or application requirements simply doesn’t exist or are not available off-the-shelf. For instance, time-of-flight systems, Avalanche photodiode arrays and hyperspectral applications often require customized designs. It is also true that large image sensor suppliers often disregard imaging niche market despite significant added value simply because there is limited volume behind. For instance most of the aerospace companies are required to develop own custom sensor solutions to meet their very specific needs, since for example radiation or hard instrumentation sensors are not available mass-built. In a similar way, this is also true for advanced medical x-ray sensors like used in surgery x-ray cameras. The more specific the application requirements are, the more likely these requirements cannot be fulfilled by a standard solution and the more likely companies will need a full-custom sensor. Custom sensors reach their biggest share in Aerospace, Defense, Security, Medical, Automotive, Mobile devices and consumer OEM markets. Whether it’s ultra-high resolution, ultra-high speed, extreme low noise or highest reachable dynamic range; to achieve extreme performance goals, in most cases a custom sensor is the only solution. Another reason is the ability to build large scaled sensors, big detectors up to full 12-inch, to maximized yield performance. Custom sensor can easily reach up to multiple of 100s of Megapixel, up to million frames per second, 0.2 e- in noise, 160 dB, etc. (but not all at once). These extreme performances or sizes are more common than you may think. There are scientific solutions out there, but night vision systems for low enforcement require ultra-low noise, flat panel display inspection needs very high resolution and the most advanced PCB manufacturing pick and place machines are craving for Frame per second image sensors. The only possibility to get such an ultra-performance feature set and special sort of device with rather good yield is developing a fully-customized sensor. When a company needs a stable product for longer than average supply time, custom design is an answer. 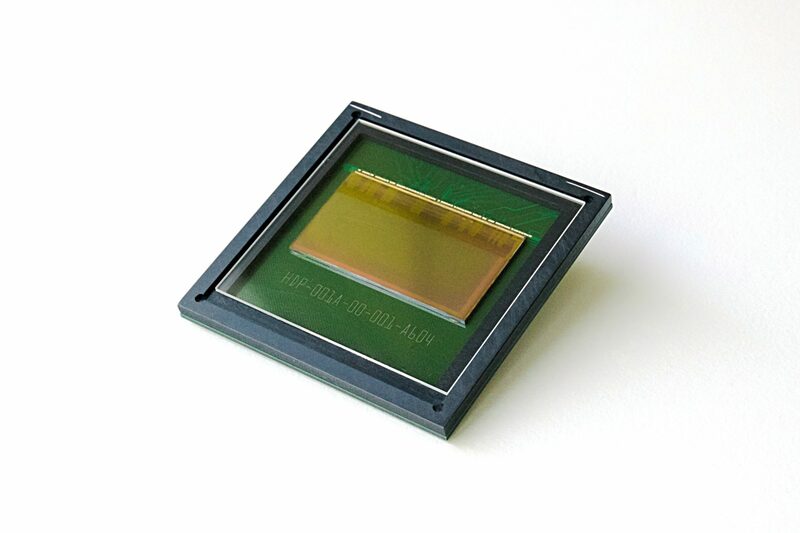 It is particularly true for medium volume and specific applications such as medical, scientific, aerospace application where a camera design can be at the mercy of the image sensor supplier to continue supplying a standard sensor, where volumes are dictated by other markets. Sure, it is often possible to make last-buy of such mass market sensors, but it leaves little time to design a new products and ensure performance continuity. A custom designed sensor will be available as long as it is needed and will thus assure the end user of a stable performance all along the product life cycle. Making own custom sensor sounds appealing despite the longer project duration, but what if getting an own customized pixel demonstrated in a USB3 camera in under 6 months’ time? With systems in place such as CreaPYX, a field programmable image sensor IP, it is possible to do so. This approach is especially helpful for start-up companies or laboratories to prototype and to get a demonstration sample very quickly. For instance, when a very young company needs to make a quick prototype to be able to put their system in a car and to demonstrate to their clients or their investors to convince. Or if a larger company wants to prove the pixel concept before committing to a larger development. Or if a laboratory needs a special pixel to build a proof of concept. With quick pixel prototyping, companies in a specific hurry and with tight budgets can accomplish a first version of their product and take better decision on how to develop further (or not). It’s a great chance to go for a custom sensor in a very easy way, on a clear budget and in a short time to market. Decision Making: How to evaluate the need of a customized sensor? The best advice for all engineers thinking a customized sensor is just the right way, is to start a deep technical discussion with one or two possible suppliers. They might clarify exactly the need for a customized sensor. Such technical suppliers are mostly not interested in “only” copying an existing sensor, as there is no customer advantage by being late on the market, spending too much money in already existing technology and having no differentiation through. The main questions to reflect are: ‘What will make the final product different? Where should the design focus during technical trade-off analysis?’ and ‘Where does it differentiate from the already available state of the art?’ There is one simple formula to keep in mind: If a solution exists off-the-shelf, it’s better to buy off-the-shelf. In the decision process, it’s crucial to make sure, the possible customizing company plays open card. Not only disclosing the development process, also communicating who is doing the packaging, who is the selected foundry and why, what is the exact foundry cost and many more. Transparency is a matter of trust and ensures clear decision processes. Each sub-supplier has its own advantages for specific markets and being able to tailor a proven supply chain on each business case is a key: to make an analogy, a custom Ford Mustang is not available from the local go-to Ford dealer, but it’s possible to get one from Saleen. They have the procedures and the culture in place for custom orders. Transparency enables the technical discussion depending on the economics, depending on the particularities of the design and the best adaption to the particular project. Even before the project starts, custom sensor companies provide customers with pre-study reports, pre-concepts, some preliminary architecture, preliminary measurements, sometimes even prototypes if available. And eventually, when the project starts, elements on the costs and the timing are expedient to decide for the best and most valuable technical solution. Following the arguments 1 to 5, some engineers see clearly the advantages of a customized sensor, but fear the higher costs compared to off-the-shelf available components. In that case, dedicated customizing companies offer semi-custom solutions. These platformed sensors are developed in a modular way to enable easy customization. This way achieves unique performance but save costs by not starting from the scratch. contrary to the common assumption, quick pixel-prototyping accelerates the development of customized sensors.